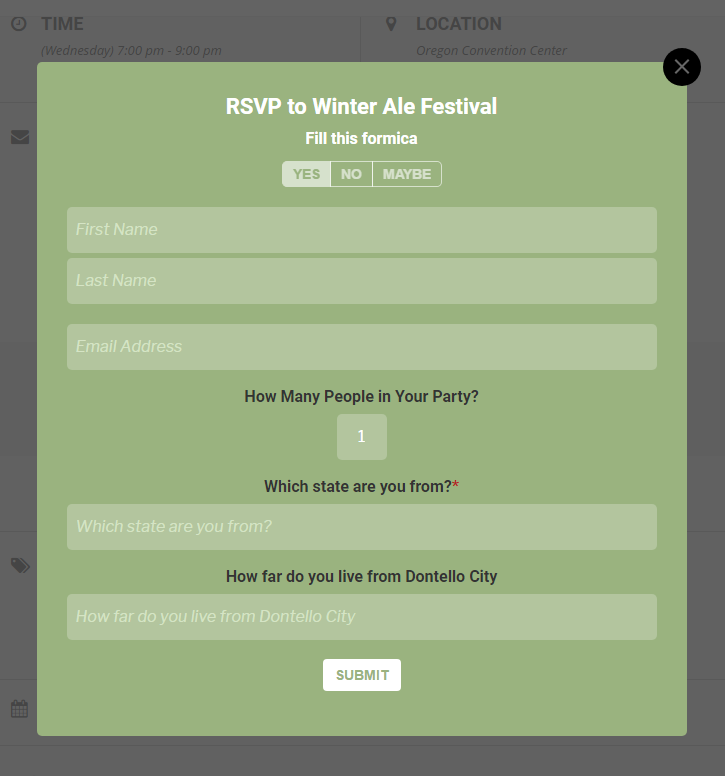 RSVP-ing to an event will open a lightbox type RSVP form as shown below. This is the default behavior of RSVP addon for eventON. 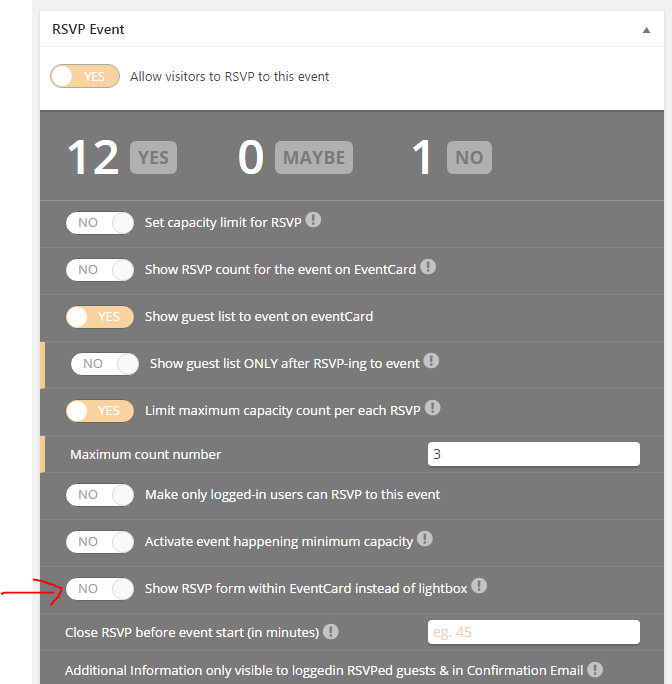 Once this is enabled and saved for the event, the RSVP form will no longer open as a lightbox for this event rather it will open as a inline form inside the eventCard like below. 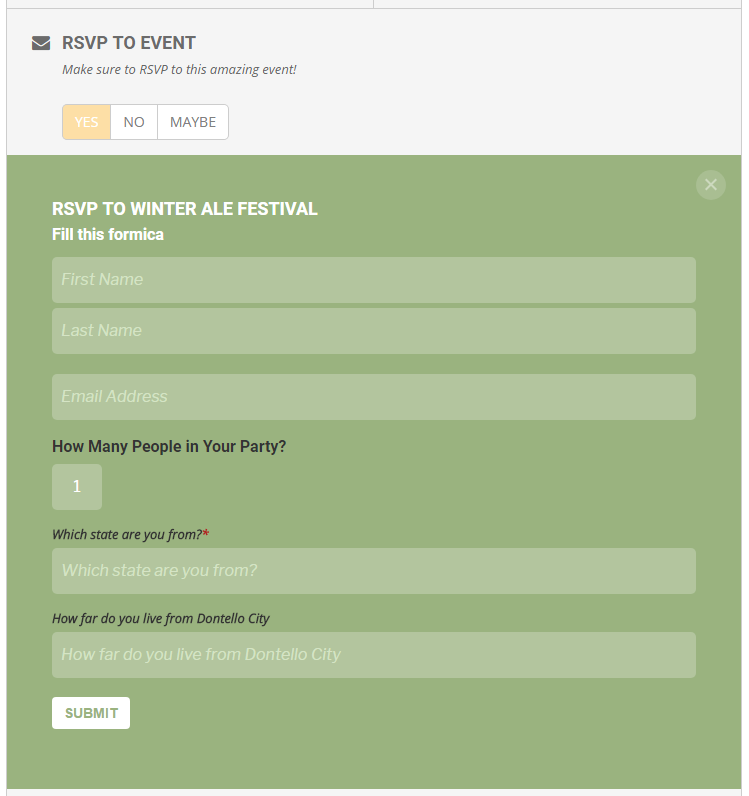 If you are having issues with the lightbox version of the RSVP form from appearing correct on certain devices, the inline RSVP form is a viable alternative.